Everything you need within one platform. We have reinvented the background and drug screening experience based on over a decade of feedback. We think you’ll be pleased with the results. Our Site will re-format automatically for use on your phone or tablet. Send out an email request or post a link on your website to complete the background, drug screen and/or verification request of your choosing. With customizable formats that include your logo and unique questions, your data entry time will be substantially reduced. Our online platform provides unmatched functionality managing your entire screening process. Review results and utilize our easy-to-use Adverse Action automation tool. We also integrate. Our current list of integrations is below. Customizable package solutions and search criteria come standard. Let our experience help navigate you through the best choices for your unique needs.  CoreSolutions – Building Your Pathway to Success. Custom Order Fields – Add the ones you need, remove the ones you don’t. Duplicate Order Checker – Avoid duplicate orders. Customize the time frame that works best for you from the date of last order. QuickVerify – Verification of Employment and References by Email Notification. Pass/Fail – Flags and Customizable Override options. eSignature Releases – Since many of us live in an online world. Collection Site Lookup – Embedded within the order process for easy access to collection site locations. Custom Landing Pages – Embedded directly within your website and pointing to the background and/or drug screening package of your choosing. Integrations – Applicant Tracking System (ATS) Integrations streamline your human resources processes. No Long-Term Contracts. Period. We want to earn your business not hold you hostage. No Sales Quotas. We do what we love and love what we do. We will always be honest with you. Open Communication. We don’t like surprises any more than you do. We will keep you informed so that you can make knowledgeable decisions. Assigned team support. Forget the call and order queues you will have an expert team assigned to your account that will not just speak with you one on one, they will also be the same team responsible for processing your orders.